Online restaurant discovery and food delivery company Zomato Media Pvt. Ltd is raising $210 million (Rs 1,500 crore) from Chinese e-commerce giant Alibaba Group’s payment affiliate. According to a stock exchange filing by Info Edge (India) Ltd on Friday, Zomato has signed a definitive pact with Alipay Singapore Holdings Pte Ltd for the primary fundraise. Info Edge said that, after the deal closes, its stake in the food-tech company will fall to 27.68% from 30.91% at the end of March. A Zomato spokesperson confirmed that this a fresh round of investment but declined to comment further. This is the second large fundraise by Zomato this year. In February, Alipay had invested $200 million in the Indian company, which including a primary fundraise of $150 million and a purchase of stake worth $50 million from Info Edge. That round had valued Zomato around $1 billion. Gurugram-based Zomato was founded in 2008 by Indian Institute of Technology-Delhi alumni Deepinder Goyal and Pankaj Chaddah, who were both executives at management consultancy firm Bain & Company. Chaddah resigned from the company earlier this year. Zomato competes mainly with Swiggy and Foodpanda. Swiggy is backed by South African internet conglomerate Naspers and Yuri Milner-led DST Global. It had raised $210 million in June and $100 million in February. Foodpanda was acquired by homegrown cab aggregator Ola in December last year. Last month, Zomato had acquired Bengaluru-based TongueStun, an online startup which aggregates caterers for offices and events. In 2017-18, Zomato narrowed its net loss as the company controlled its expenses and grew its revenue. Net loss shrank to Rs 106.3 crore from Rs 390 crore the year before, according to the company’s filings with the Ministry of Corporate Affairs. 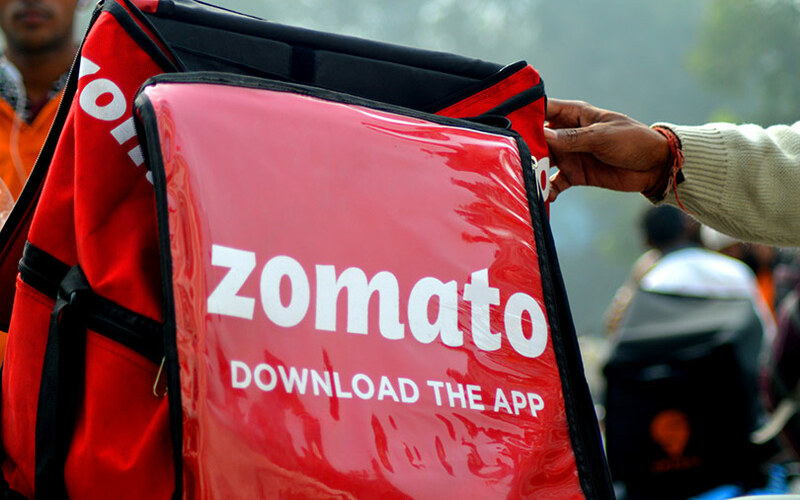 The latest results show Zomato is on the path towards profitability, although co-founder and CEO Deepinder Goyal had said in September last year that the company had turned profitable. In March this year, Goyal said also that the company had hit $100 million (Rs 700 crore) in annual revenue run rate.